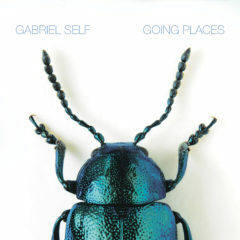 Today Gabriel Self has released ‘Going Places’ the first single coming from his upcoming album ‘By the Time’. Born in England but based in the Netherlands Gabriel Self makes pop songs influenced by the harmonies of Elliot Smith and the Beatles combined with the beats and bass of early hiphop. ‘Going Places’ is a perfect example of Gabriel’s style, with its sunny melodies, smooth instrumentation and funky breakbeats it makes the perfect soundtrack for a Friday like this one. ‘Going Places’ is now available on all online music services. The album ‘By the Time’ will be released mid september, so keep an eye out for more music by Gabriel Self.